Are US Hospitals Equipped For An Infectious Epidemic? The most important part of maintaining safety in an Isolation Room environment is to control the differential pressure between the Isolation Room and the surround areas. 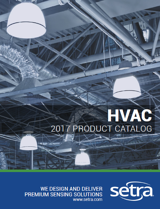 Isolation rooms require negative air pressure in order to prevent contaminated air from escaping the room and potentially contaminating clean air outside of the isolated space. The negative pressure environment allows clean air to be drawn into the room, so contaminated particles from inside the room can't float out when a door is opened. 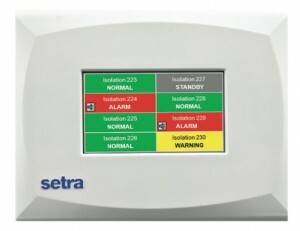 If a door is open or the differential pressure is compromised, many hospitals have room pressure monitors installed to alarm locally and alert personnel through the building automation system that the isolated environment has been compromised. The Center for Disease Control (CDC), Facility Guidelines Institute (FGI) and the Joint Commission (JC) spent a great deal of time ensuring that healthcare and lab facilities employ best practices in ventilation control and monitoring; however according to the 700 registered nurses who work in over 250 of these hospitals, they are not as prepared as they should be. Question: Are U.S. hospitals ready to care for patients with Ebola virus disease (EVD)? Answer: Yes – any U.S. hospital that is following CDC's infection control recommendations and can isolate a patient in a private room‎ is capable of safely managing a patient with EVD. CDC recommends that U.S. hospitals isolate the patient in a private room and implement standard, contact, and droplet precautions. While the CDC claims that US hospitals are prepared for an outbreak of Ebola (as well as other infectious diseases), 80% of the nurses surveyed disagree. Registered nurses are trained to adhere to the stringent regulations of the CDC, so if they do not believe that the hospitals where they work are sufficiently prepared to deal with such an epidemic, it would be expected that they have more intimate knowledge of preparedness than the CDC website. Registered nurses are the “first line of defense” while the CDC is the General making decisions from 10,000 miles away; while everything might look fine to the General, it might look far different when you are actually at the hospital sites every day. So where is the disconnect between the CDC and the NNU? The CDC is not the issue; they are simply a government agency which makes recommendations which they expect to be followed. The more important issue is that every hospital needs to be held to a higher standard to provide the safest environments for patients, visitors and hospital staff; yet it seems as though the governing bodies responsible have not made this a priority. There is no more critical time than now for the United States to step up and make sure that our infrastructure is sufficiently prepared to handle infectious epidemics while keeping those who treat those patients safe from harm. The healthcare governing bodies need to take the concerns of the NNU very seriously, because they can’t afford to be wrong on this one. 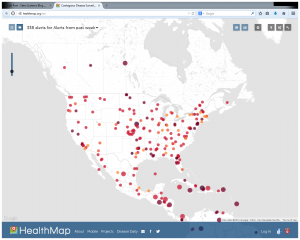 CLICK HERE to experience the global interactive HealthMap (shown below) and discover which regions of the world are under contagious disease surveillance.